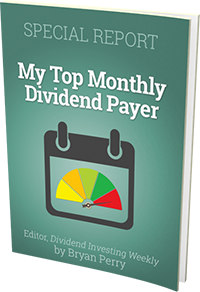 This report shows the potential option premium generated by implementing a buy-write or covered call option trading strategy for a given equity with a specific expiration date. Buy-writes or covered calls are useful strategies for investors seeking to generate income by selling Call Options against either existing or concurrently opened long stock positions. A covered call strategy is typically employed by writing Call Options for a given expiration against an already existing equity holding. Buy-Writes typically involve simultaneously opening a long position in an equity and selling a call option on that long position with a specific strike price and expiration. Selling a call results in the collection of a premium on the option, and an obligation to surrender the underlying equity if the option is called by the purchaser. The Buy-Write Search Table features selected ATM buy-write opportunities, as well as the ability to search for viable ATM buy-writes by specific equity symbols. Call premiums for each security are calculated as a weighted average of the closest ATM option prices with a moving 30-day expiration maturity. Search for specific equities by symbol in the search box. The search returns ATM call premiums expressed in dollar and percentage amounts for all listed expiration dates for each equity. Click on the icons in the Symbols column to view more information on the specific stock. To learn more about Buy-Writes, click here.